PROVIDENCE, R.I. — Julio Velasco doesn’t smoke and rarely gets sick. But two years ago, the 26-year-old line cook discovered a quarter-sized bald spot on the back of his head. The spot grew. Then another one appeared. He was working double shifts for $12 an hour and had fallen behind in repaying his college loans. And he had no health insurance. So he paid about $100 cash for a visit to an urgent-care center. Despite huge gains under the Affordable Care Act, known as Obamacare, in reducing the size of Rhode Island’s uninsured population, including among young people, an estimated 45,000 residents still have no health coverage, according to the U.S. Centers for Disease Control and Prevention. And a 2015 state survey shows that the single largest share of the uninsured — about 33 percent — are young adults like Velasco. These “young invincibles,” as they’re known, represent the holy grail of the insurance industry because they generally pay more in premiums than they cost to insure, helping to subsidize the cost of caring for older, sicker people. Rhode Island is up against one of the fundamental challenges of health-care expansion: enrolling healthy young men. The state’s small size, aging population and high percentage of residents on Medicaid, the federally subsidized insurance program for low-income people, means these young people are especially important to balancing the insurance rolls and keeping premiums down. But persuading guys like Velasco to buy health insurance is no easy sell. The last time Velasco had health insurance was when he was a full-time student at Johnson & Wales University. During his senior year in the culinary-arts program, Velasco was working 40 to 50 hours a week at a restaurant. He hardly slept. The stress got to be too much. So he quit school — and lost his university health coverage. Parents with private health coverage can keep their children on their plans until their children turn 26. 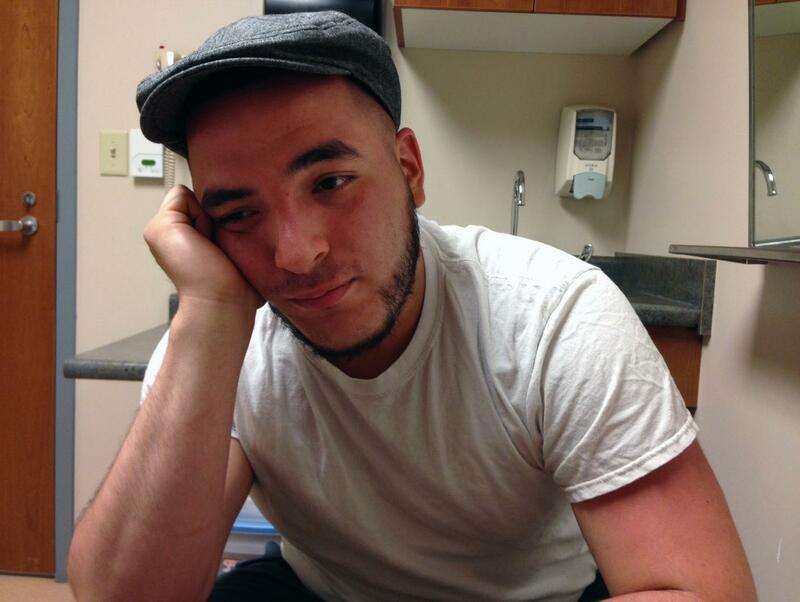 But Velasco’s mother is on Medicaid in New Jersey, so he didn’t qualify for coverage. But the unexpected spate of hair loss three years ago felt like a wake-up call. The doctor diagnosed him with alopecia areata, when the body’s immune system attacks the hair follicles, causing hair loss. The doctor prescribed a cream and Velasco switched to a less stressful restaurant job. And he began to think about getting health coverage. A 2015 study by The Urban Institute found that only about 16.7 percent of the country’s uninsured adults, ages 18 to 64, don’t want health coverage, which leaves 83 percent who do want it. The main reason for not having coverage — cited by three in five uninsured adults — was that they felt they cannot afford it. “I think a lot of people in their mid-20s, given the choice, would be happy to have health insurance,” said Karen Pollitz, a senior fellow at the Kaiser Family Foundation, a national nonprofit which analyzed 2015 data on uninsured adults. In summer 2013, when Rhode Island opened its health care exchange, HealthSource RI, and began signing up residents, Velasco got a call from his mother back home in Union City, New Jersey. “You have to sign up,” he recalls her saying, “or they’ll charge you” a penalty on your tax return. Velasco says he called to ask about buying coverage and was told he needed to sign up online —but he never did. Of course, all this tells us is that he is an average twenty-something. Ask any parent of an “emerging adult,” as psychologists now call them, whose son or daughter has health coverage and chances are it was mom, dad or some other fully emerged adult who they can thank for that. “I say to my son, ‘You may be invincible but you’re not unbreakable,” said Kaiser’s Pollitz, whose 26-year-old recently slipped and broke his hand. Fortunately, she said, he is still on her health plan. About 2 million to 3 million young adults gained coverage, she said, when the Affordable Care Act extended their dependency status until age 26 and they became eligible for coverage under their parents’ policies. In 2015, the tax penalty rose to $325 or 2 percent of income earned above $10,000, whichever is higher. That year, Velasco reported earning $29,397, so the penalty for being uninsured was $388, according to Kaiser Family Foundation’s Health Insurance Marketplace Calculator. That’s less than the cheapest “bronze” plan, which would have cost him $150 per month, or $1,804 per year. Velasco says he owes more than $50,000 in student loans and has fallen behind on his payments. Loan servicers leave messages on his cellphone. 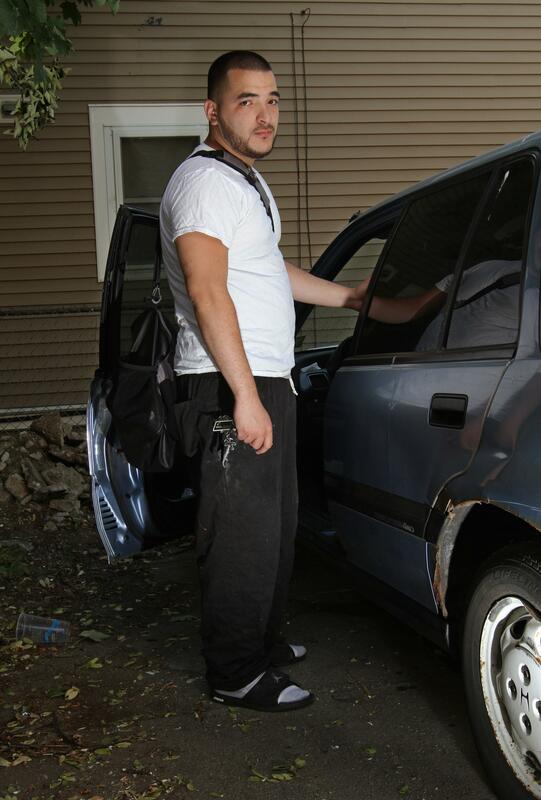 Last December, he was driving through a four-way intersection in Providence and another driver slammed into his 2009 Nissan Altima. The impact, he said, gave him whiplash. But since the other driver was at fault, his insurance paid for Velasco’s chiropractic treatments. He worries, though, that his luck could run out. He hasn’t seen a dentist in several years. The tooth he chipped while playing football at his high school in New Jersey when he was 17 or 18 years old has never been capped. “It was too much money,” he said. During a 3½ year stint in the Army National Guard, Velasco said he paid about $100 to have a rotten tooth pulled. He couldn’t afford the $900 the dentist said it would cost for a crown. At the end of March, Velsaco landed a full-time job in the kitchen at The Cheesecake Factory in Providence. He’d been working there about 1½ months when he received an email from the human-resources officer. He was now eligible to apply for company health insurance. The cost was about $50 per month, or $600 a year — less than the estimated $750 penalty he’d pay this year for being uninsured. He opened the email to show a reporter and began to read the letter aloud. Then his face dropped. The enrollment period was May 5 through May 20. He’d missed the deadline. He’ll have to wait until January 2017. Next Some states have put a clamp on surprise medical bills — but not R.I.